AdvantaClean began as a company thanks to water damage, working around the clock to help homeowners and businesses recover from Hurricane Andrew after it destroyed parts of south Florida in 1992. Since that time, we’ve always focused on helping our customers recover from extreme water-related emergencies. 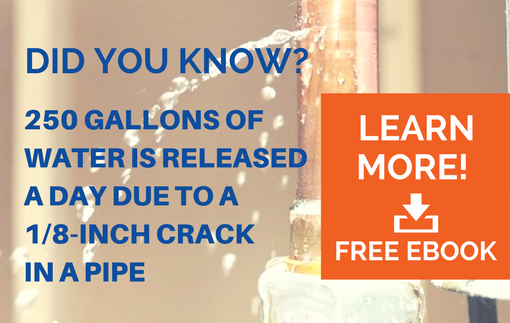 Whether it’s a major hurricane or a minor leaky faucet, water can create expensive problems. Plumbing issues such as frozen or broken pipes, loose washing machine hoses, and leaking hot water heaters can quickly release hundreds of gallons of water. Small water intrusions can’t be overlooked. If not properly remediated, wall cavities, cupboards, closets and attics by be damaged by mold, rot, and water intrusion. At AdvantaClean of Ft. Worth, we realize water damage emergencies should be remediated and repaired quickly for homeowners so that they are not displaced for very long. Plus businesses need to resume normal operations. That's why AdvantaClean is available whenever you need us, 24/7, with trained, professional technicians prepared to respond quickly and efficiently. A major storm, burst pipe or water main rupture can leave your home or business literally under feet of water. Whether you're under an inch of water or a few feet, AdvantaClean can dry the affected rooms so that repairs can be performed. Our investments in the latest water removal equipment have made us one of the top water removal contractors in the United States. AdvantaClean’s professional technicians are well equipped to respond to serious water emergencies day or night. Extreme water events like floods and burst pipes can quickly cause extreme property damage. Filing claims with property and flood insurance companies can get complicated. Because of our years of experience, AdvantaClean has relationships with most insurance providers. We provide detailed estimates and we prepare reports of all damage and repairs to the insurance companies’ satisfaction. When you call AdvantaClean of Ft. Worth to handle your water emergency, you can be confident that we can help you file a successful claim with your insurance company. At AdvantaClean we take water restoration seriously. We’ll dedicate a job supervisor to keep you in the loop about the status of your project. We want you to rest assured that we can handle your water damage situation with the professionalism it takes to return your home or business back to normal. Contact us today for a consultation about your water damage situation, and let the experts at AdvantaClean give you an advantage.